Tottenham are yet to win a league game at Wembley and might need to start treating their home games like away games to prosper. Every man and his dog, his cat and next door’s budgie told you all summer that Tottenham would struggle at Wembley this season. A season lodging at the national stadium, while White Hart Lane is rebuilt, was always likely to be tricky. We know the classic reasons here. It’s a bigger pitch. Every game will be a cup final for their opponents. And lo and behold, Spurs have failed to win any of their opening three league games. Tottenham’s Wembley flaw is not about them becoming terrible overnight, it’s simply about lacking the edge that the Lane gave them. My expectation was that some Spurs wins would become draws and some draws become defeats. So far they’ve lost 2-1 to Chelsea, drawn 1-1 with Burnley and drawn 0-0 with Swansea, for two points. At the Lane, their equivalent results would have been a draw with Chelsea and two narrow wins, for seven points. It’s not a rapid decline, it’s a slow-burner. It’s not a plummet in fortunes, but more a slow damaging grind that will erode Tottenham’s chance to make a realistic title challenge. Spurs are playing a season of away games. The national stadium is a neutral venue. 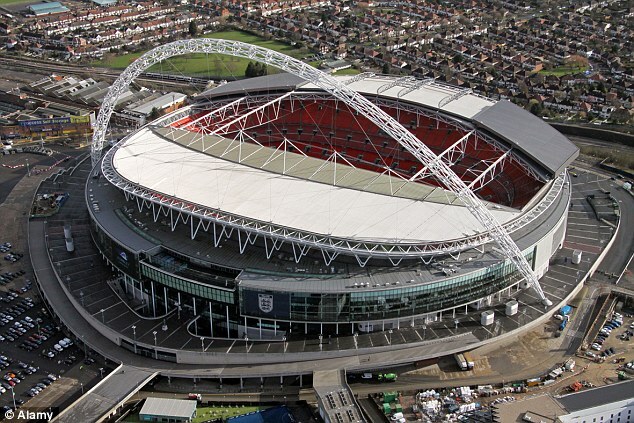 You can waves your flags and scarves and stick up all the Tottenham bunting, but Wembley is not a home stadium. One resounding win would get Tottenham flying, but I suspect that their route to Wembley salvation is to treat all home games like away games. Let opponents have their cup final and set up to counter-attack. Pick them off and rack up wins. It’ll make for an odd campaign, as home games are meant to be your bankers, your acts of regular dominance, but treating Wembley as the away venue it is could perversely be Tottenham’s best way forward.